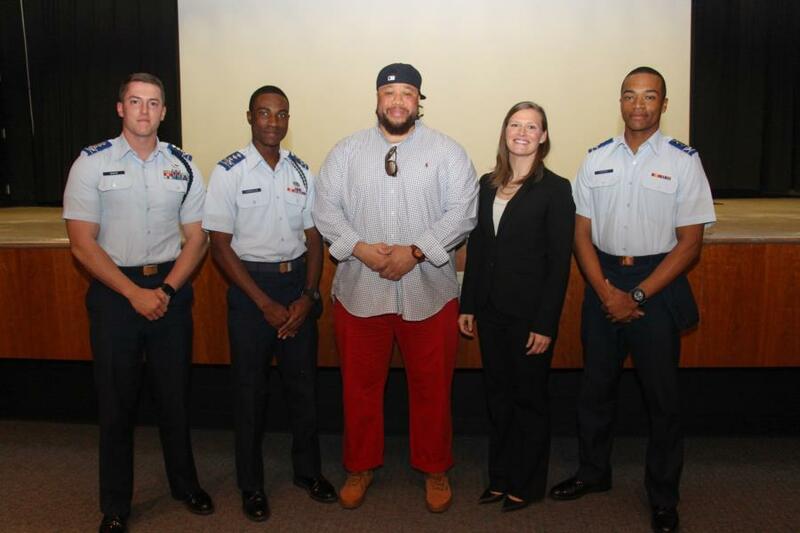 This week the Preppies had the opportunity to hear from two world renowned athletes, Sally Roberts and Antwon Burton. 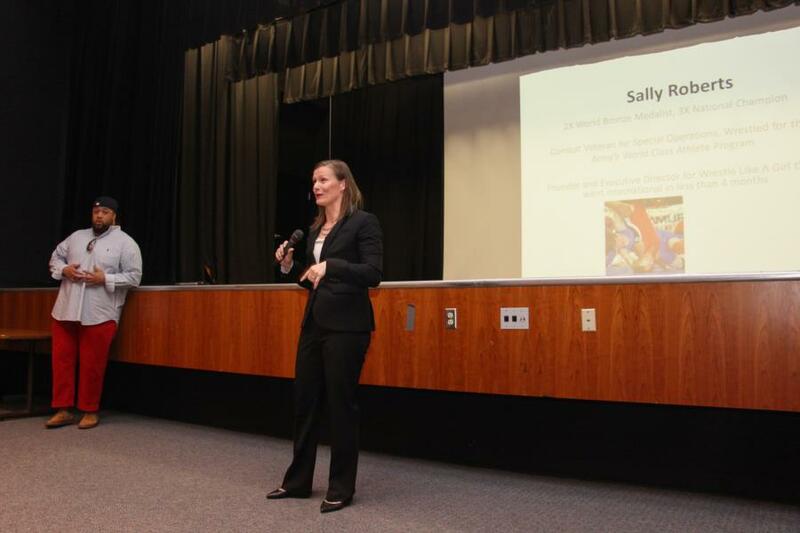 Sally Roberts is a 2x World Bronze Medalist and 3x National Champion in wrestling, and a combat veteran for the Army Special Operations, Psychological Operations division. In addition to serving in Special Operations, while in the Army, Sally also wrestled for the Army’s World Class Athlete Program. Now she is the Founder and Executive Director for “Wrestle Like A Girl,” a new, non-profit international organization that helps “empower other girls through the sport of wrestling” providing “opportunities for them to live up to their full human potential” (quotes taken from http://www.wrestlelikeagirl.org/board-memebers/). 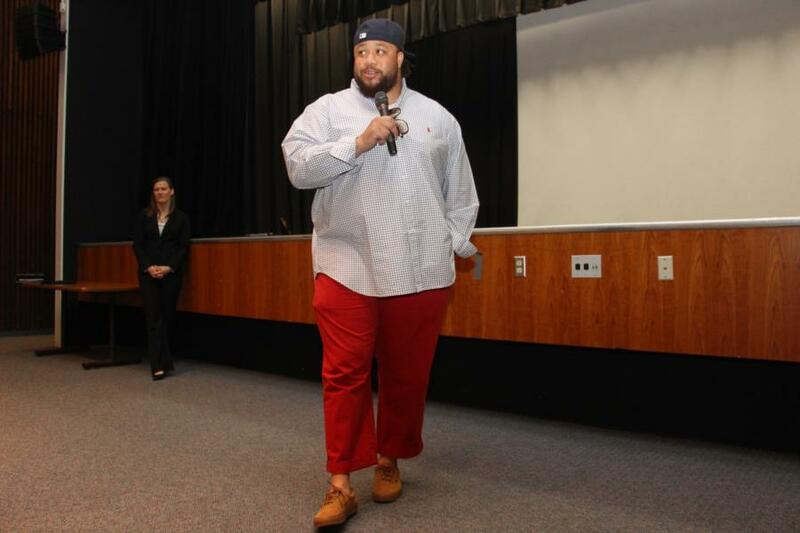 Antwon Burton is a former American football defensive tackle who had played with the Denver Broncos, Cincinnati Bengals, Kansas City Chiefs, St. Louis Rams, Carolina Panthers, Florida Tuskers, Sacramento Mountain Lions, and the Virginia Destroyers. Currently he is an athletic trainer in Pueblo, CO and a member of a local rotary club where he helps high school students prepare to take the ACT in order to open the door to college, something which he highly values and desires for everyone to attend. Both Sally and Antwon spoke to the Preppies about the difficulties and importance of facing and overcoming adversity. They also addressed the importance of perseverance and teamwork. To view the rest of our glimpse into the Olympian Panel at the Prep School go to; Classes - Prep School - Prep Life. Or click the link below.